The homes at 'De Pier' holiday park all have their own identity. What the accommodations have in common is their country-style look, which perfectly matches the splendid surroundings. There are various 6-person holiday homes and they have all the characteristics you would expect to find in a proper home. The 'Comfort Farmhouse' (NL-5406-12) is far from standard. The unusual modern interior adds to the special atmosphere. And, of course, this home also offers all modern comforts. The 'Extra Luxury Villa' (NL-5406-13) home has a playful interior with the kitchen as a central focus. You won't want for anything here. There are two bathrooms, each bedroom comes with its own TV and you'll have a sauna at your disposal on the first floor. The 'Basic Farmhouse' (NL-5406-15) is equipped with most modern necessities. The 'Luxury Villa' (NL-5406-16) is a magnificent villa designed around two important aspects: space and comfort! 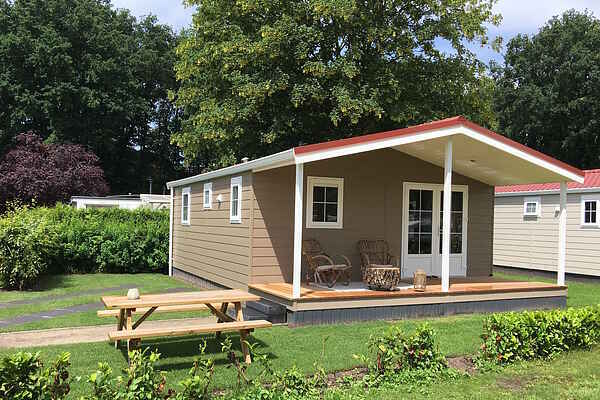 In addition, this holiday park offers ground floor, 4-person bungalows (NL-5406-14 & NL-5406-17). Just like all the other accommodations, these also have an attractive interior, immediately making you feel at home. All home types have at least one parking place and a lovely terrace with garden furniture.